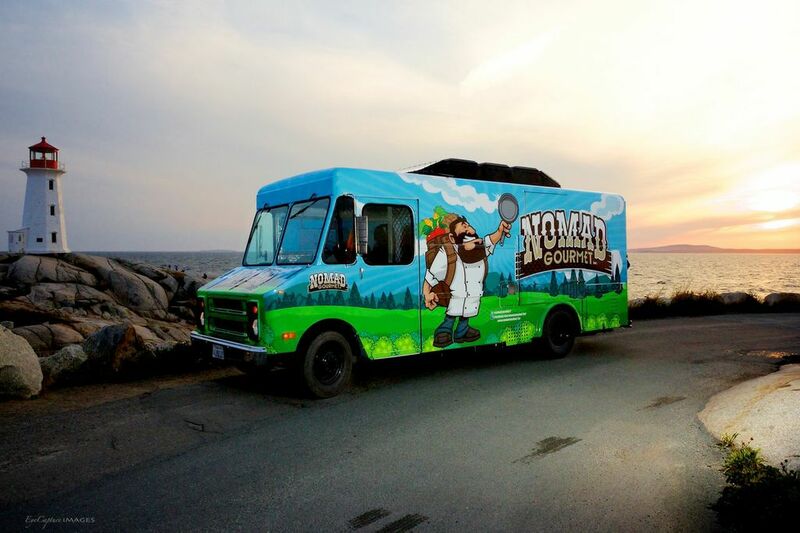 Presented by Select Nova Scotia, the hottest food rage in North America hits the streets of Wolfville with fast, delicious accessible food for all from Halifax Food trucks–Nomad Gourmet, Tin Pan Alley and The Food Wolf. Picture: The Ace Burger/Brooklyn Warehouse crew will serve their delicious food via the Nomad Gourmet Truck. 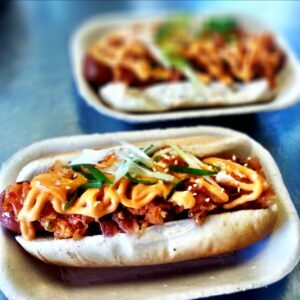 Picture: The Food Wolf’s infamous K Dog–braised local pork belly with Kimchi and special sauce. Chedabucto Bay sustainable shrimp in a delicious Dutch specialty dish. Locally-raised, home cured Berkshire Heritage proscuitto. Oulton’s farm duck confit poutine. Plus one other to be determined. All items will be between $5 and $10. 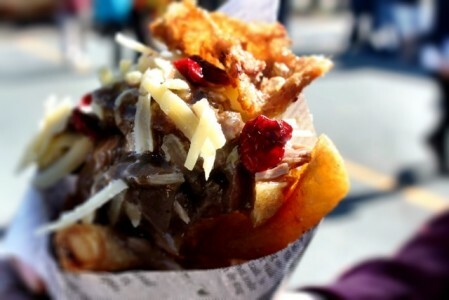 Picture: Cheese & Quackers: Duck Confit poutine from Tin Pan Alley.